Jersey City Mayor Steven Fulop and his challenger in the November 7th mayoral race, Bill Matsikoudis, slugged it out over an alleged bid rigging tape that has recently created some controversy in what has otherwise been a fairly peaceful contest. “In court right now, it has come to light, in sworn court deposition testimony, two senior mayoral aides were recorded discussing an alleged bid rigging scheme involving a company called Good Energy,” Civic JC co-founder Aaron Morrill asked during a debate at the Loews Theater on Saturday. Morrill continued that in the spirit of good government and transparency, something Fulop has touted since he was the Ward E councilman, the public deserves to hear the tape prior to the November 7th municipal elections. Last month, Politico detailed depositions from Jersey City Business Administrator Robert Kakoleski and Dominick Pandolfo, who works under Kakoleski in City Hall, claiming that two close allies of Fulop tried to steer a city contract to Good Energy. Pandolfo, a former chief of staff to Mayor Jerramiah Healy, said under oath that Muhammed Akil, then Fulop’s chief of staff, called him and forgot to hang up his phone – accidentally leaving a recording of a full conversation between Akil and Shawn “Sully” Thomas Sullivan. 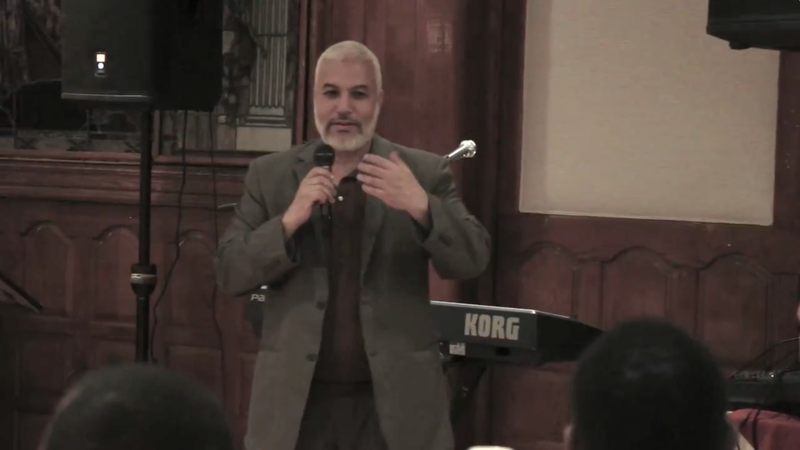 Sullivan was the deputy director of the city’s Department of Housing, Economic Development and Commerce, as well as chair of the Jersey City Democratic Organization at the time. 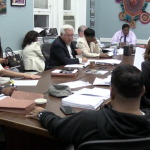 Shortly after the story came out, Civic JC called on Fulop to release the tape and perhaps played in a role in having the city council consider a resolution urging the administration to make the recording public. That vote is expected to occur at their October 25th meeting. 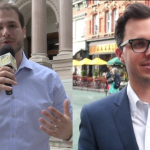 In response to Morrill’s question, Fulop questioned Civic JC’s motivations in the matter since their past two presidents have run have for office – Esther Wintner is running for council-at-large on Matsikoudis’ ticket – before going into a more detailed explanation. 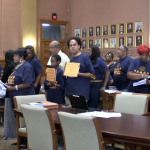 “We have said when something was brought to our attention, we cancelled the bid immediately – I have no idea who Good Energy is – and we submitted it to the appropriate authorities,” said Fulop. The mayor also asked why any city officials who knew about potential wrongdoing waited four years, until the month before an election, to disclose that information. Matsikoudis, a big underdog in the mayor’s race, said this situation shows the obvious hypocrisy of the Fulop administration. 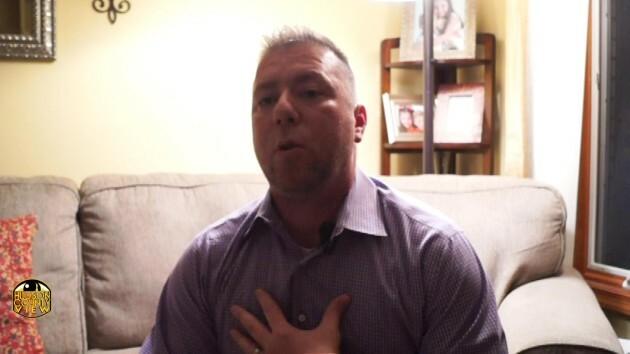 “Now he’s talking out of the side of his mouth to say he cancelled the big, referred it to authorities, who won’t say who, but didn’t do anything to these two people,” Matsikoudis exclaimed. Fulop noted that Morrill is a big supporter of Matsikoudis’ campaign before disputing the challengers claims. 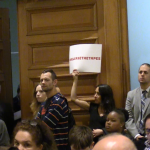 This let to a short exchange between Fulop and Morrill before Matsikoudis eagerly returned fire. “The mayor can’t get anything accurate: there was 40 people arrested, about half of them were dealing with Jersey City, two of them were actually running against Healy, maybe there were seven from Jersey City who were working for Jersey City and a couple of them were close to Healy and I should’ve been there when Solomon Dwek met with them,” he began. On July 23rd, 2009, Operation Bid Rig saw 44 people arrested by the U.S. Attorney’s Office, including 29 public officials – 15 of whom lived in Jersey City. 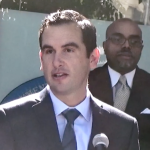 In the 2013 mayoral contest where Fulop unseated Healy, the former’s campaign released a commercial using FBI surveillance footage of Dwek meeting with Healy, accusing him of concocting an illegal development deal. Healy, who was never charged in the massive corruption sting, threatened to sue Fulop over the commercial, but never followed through on taking any legal action.